Lenovo dares to be a tad different with its latest laptop. The Lenovo A10 is the company’s first Android-powered laptop. This 10.1-inch notebook also converts into a tablet as you fold the screen back. This convertible laptop weighs just 2.2 pounds and measures 0.69 inch thick. It features a 1.6GHz quad-core Rockchip RK3188 Cortex-A9 processor, a touchscreen display with 1366 x 768 resolution, 2GB of RAM, Android 4.2 with a customized user interface, and 32GB expandable internal storage with microSD card slot. The Lenovo A10 also sports a VGA webcam, two USB 2.0 ports, and an HDMI slot. Lenovo claims its battery can last for up to nine hours of continuous video playback. 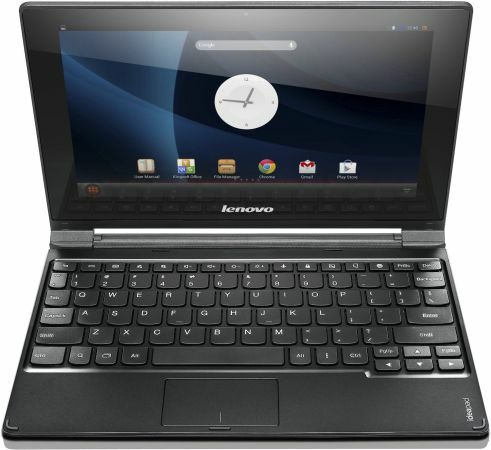 Despite the introduction, Lenovo remains mum on the availability and pricing, although it is rumored to be around $340. It is nowhere to be found in its online store, even though tech support documents are available.